Bristol Law Society is the oldest local law society in England and Wales and hosts a collection of historic legal reference materials including journals, case reports and text books. Members of the Society are welcome to visit our offices on 12 Colston Avenue by prior appointment, to use our historic library collection for their own research and study purposes. 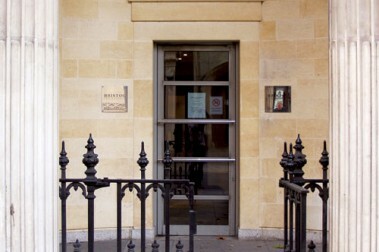 Bristol Law Society’s Law Library is not open to the members of the public. We regret that we are currently unable to offer any research or information services or to respond to specific enquiries for legal information or advice to practitioners. However, full members of the Society are entitled to access the Wills Memorial Library (Wills Memorial Building, Queen’s Road, Bristol BS8 1RJ) and other collections held by the University of Bristol’s Library Service, upon payment of a nominal administration fee for registration. Please note that if you wish to register, you must apply to the University of Bristol Library in advance by emailing lib-access@bristol.ac.uk. Applications may take up to 5 working days to process. If you do not wish or are not eligible to register, the University of Bristol Library Services now offer offer a Visitor Scheme whereby up to 40 people a day can apply for a One Day Pass, free of charge, on production of ID, to use the University Library for Reading & Reference. BLS full members (solicitors) are also able to contact the national Law Society library with reference enquiries and for document delivery services. For information see their website http://www.lawsociety.org.uk/ .